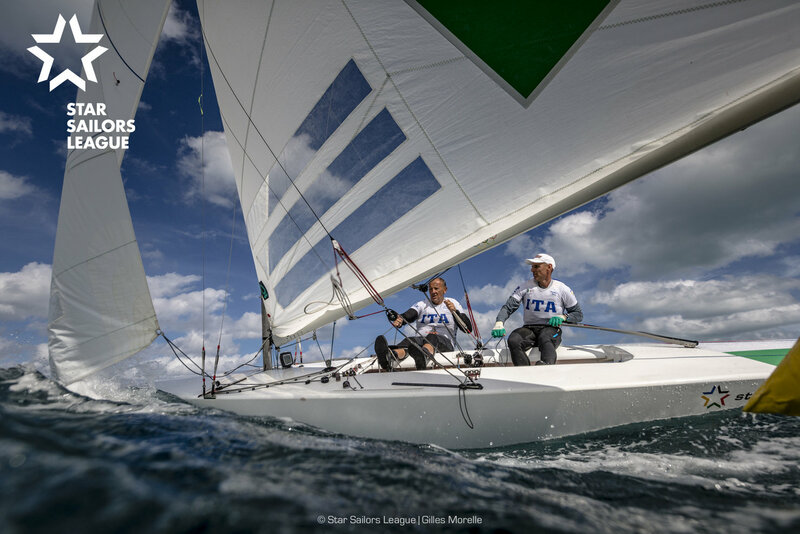 The SSL Gold Cup, a Sailing event like the World Cup of Soccer, was launched yesterday at the Olympic Museum in Lausanne with 18 Nations represented by their team Captains. 48 Nations will qualify for this Championship in October of 2021. The first 20 Nations were introduced yesterday. I have the honor of being the Captain of Team USA. Strict, 100% Nationality rules will apply to the teams. 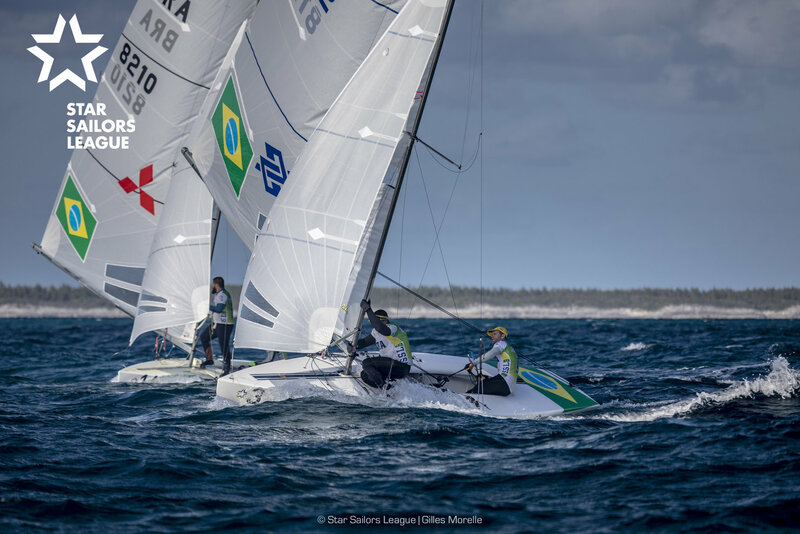 The boats and all equipment for the 47 foot, carbon fiber, high performance, One Design, monohull keel boats will be supplied by SSL. 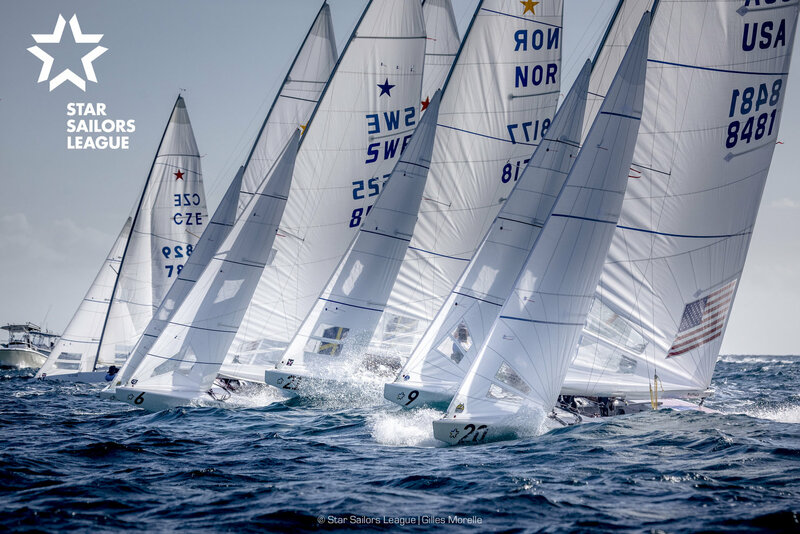 Racing in provided, identical, boats means money can not be spent on technology to try to find an edge. 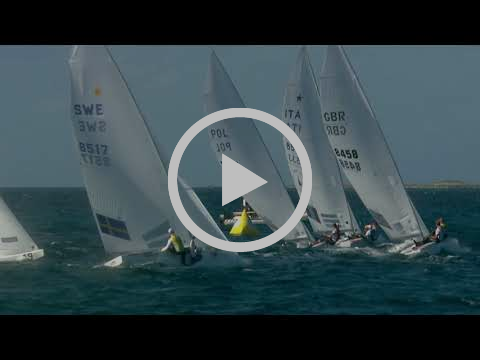 The SSL Gold Cup is about sailing skill, teamwork and National pride. The races will be very close and probably won by a few meters. 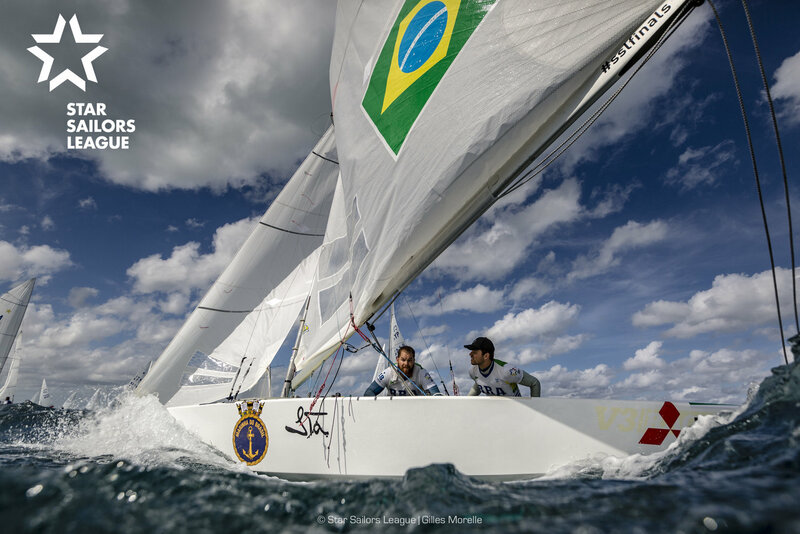 The best sailing Nation will win. 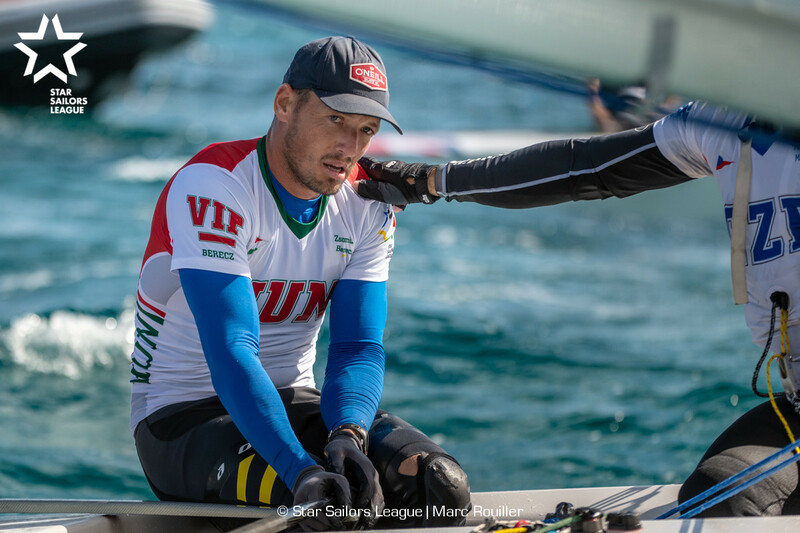 The racing will take place in the fall of 2021, on two lakes in Switzerland; Lac de Neuchatel and the finals on Lac Leman (Geneva). 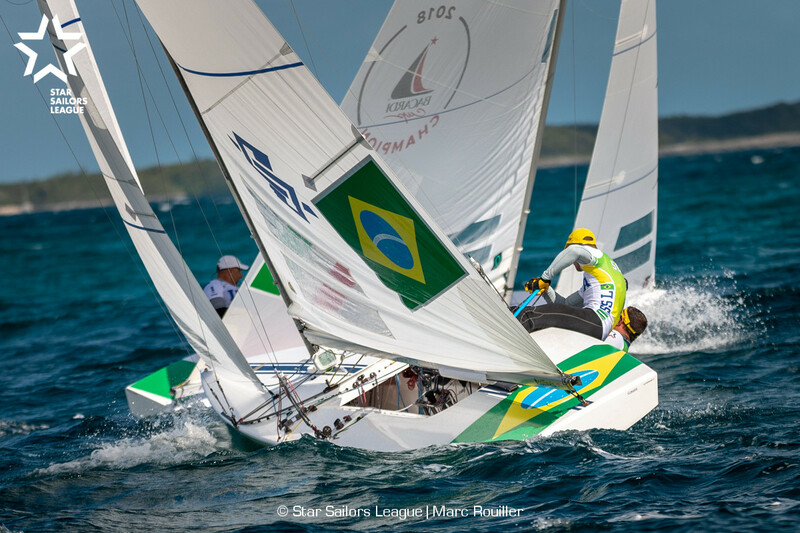 The SSL Gold Cup will be run every two years, and completes the SSL program. As with the SSL Finals each year, there will be prize money awarded at the SSL Gold Cup. The format will follow World Cup Football; Four qualifying rounds where countries will be seeded into groups, 1/4 Final, Semi Final and Final. 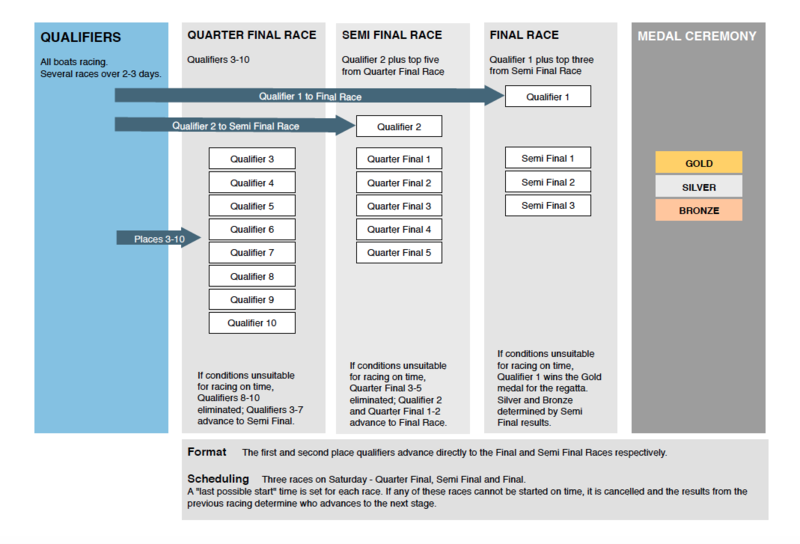 While the rounds through the semi finals will take place over four days, the final will be one race between four Nations. 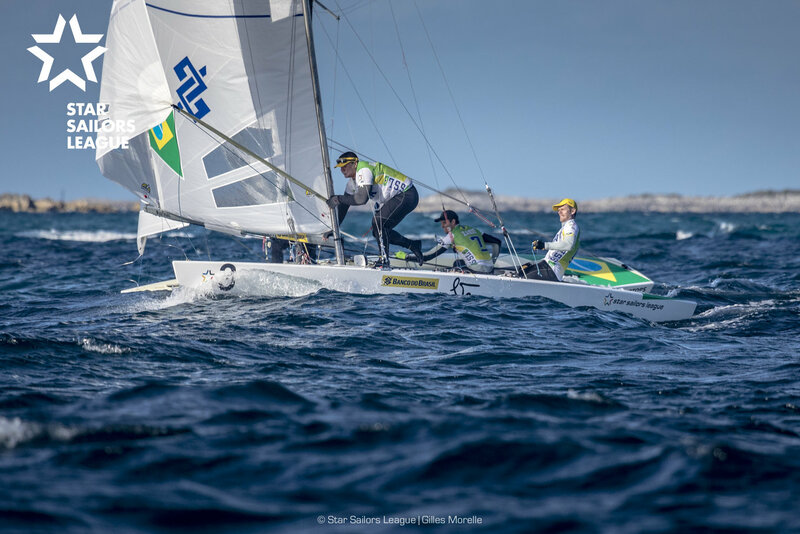 Teams will be comprised of 11 sailors; five picked by the Captain and five sailors qualified through the SSL Global Ranking system. 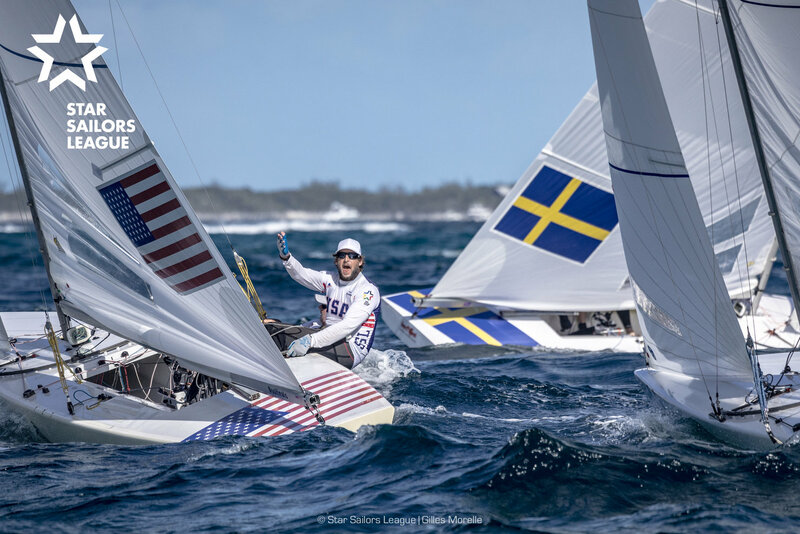 The SSL Global ranking is the first ranking system to rank 100,000 sailors from hundreds of classes of sailboats from Optimist, 420, Olympic Classes, J70’s, Etchells, on up to the America’s Cup. This huge undertaking is already underway and will start putting out a Global ranking every two weeks by years end. 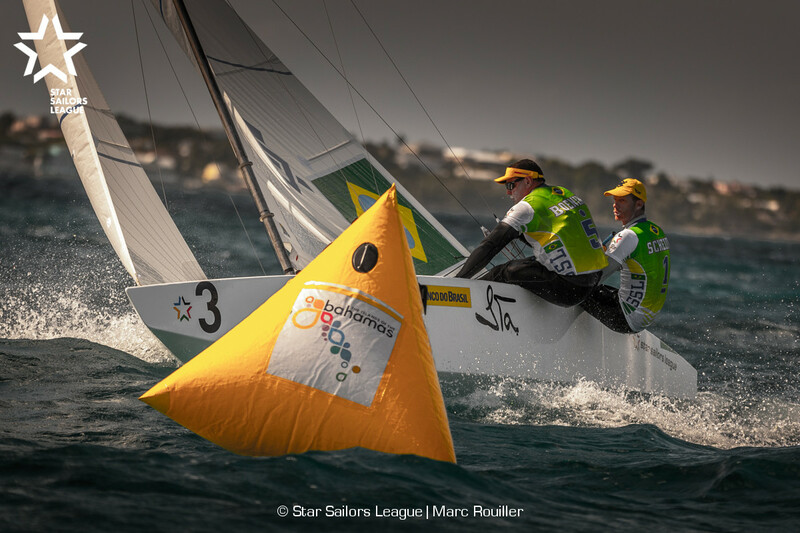 The SSL Gold Cup is also designed to open up the sport and create opportunity for many countries who otherwise could not compete in large boats, at this level. A training camp has been created at Grandson on Lac de Nuchatel. All teams will be offered the opportunity to come and train; again, hosted by SSL. Less experienced countries will be able to train more. 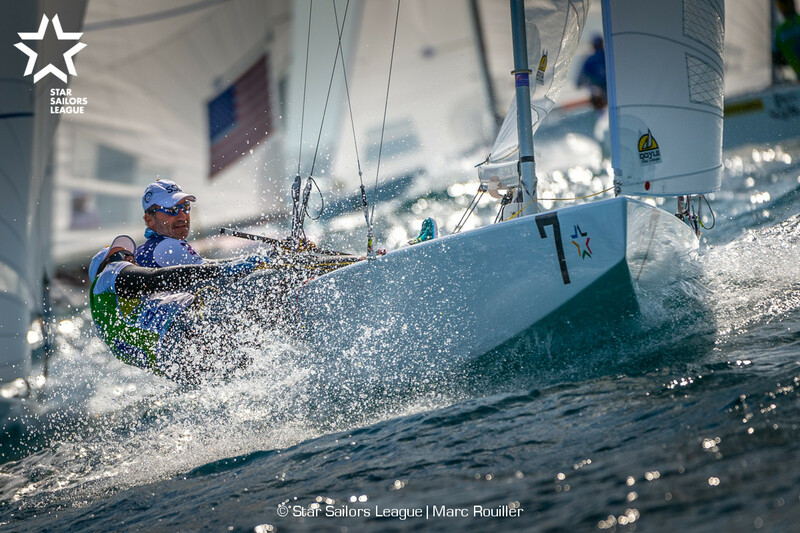 The Gold Cup is sailings championship of nations, like the Football World Cup. And like in football, a regular season of events, SSL Grand Slams and Finals in Nassau each December, will continue. 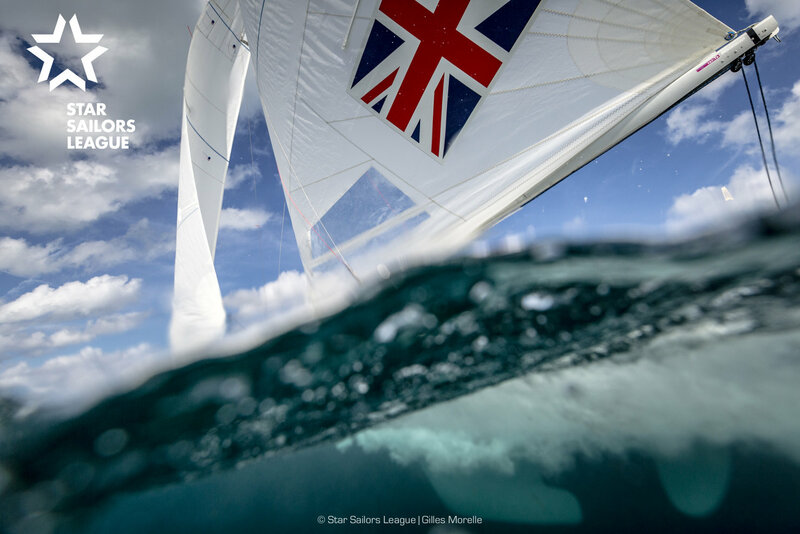 Building a global, engaged audience is one of the primary goals of the Star Sailors League. This means focusing on wide broadcast distribution as opposed to selling rights for revenue. All SSL content has always been and will continue to be delivered free of charge. 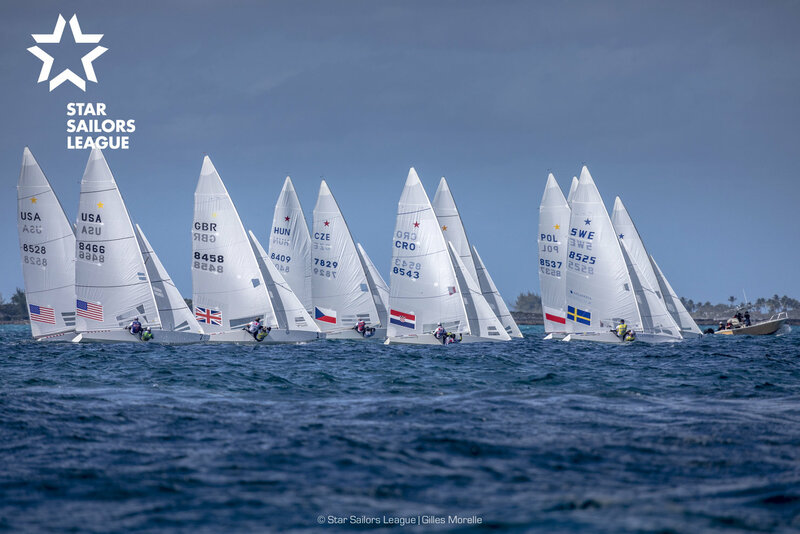 The next SSL event is the Breeze Grand Slam, in conjunction with the Star European Championship, which will be held at Riva del Garda, in just one months time, May 13-19, 2019. 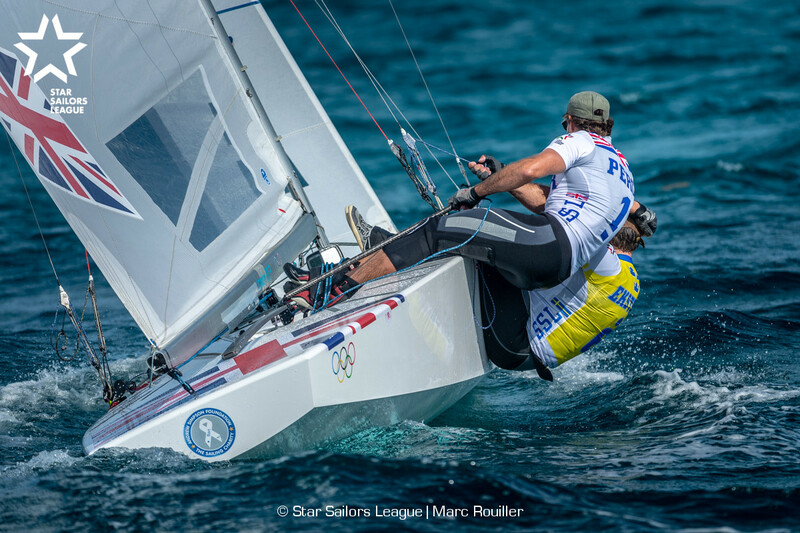 Next for Star sailing is the European Championship/SSL Breeze Grand Slam, in May on Lake Garda. In two weeks I will be racing on Rosehearty with Joey Kaempfer and Nicholas O’Leary (IRE), one of my competitors this past week. 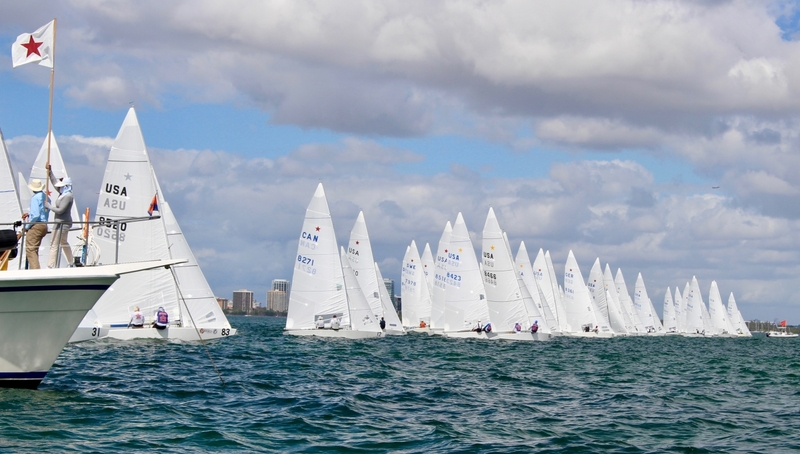 Last weekend marked the end of the Star Winter Series with the Walker Cup on Thursday and Friday and the Mid Winter Championship being the cumulative score of all 8 races from Thursday through Sunday. 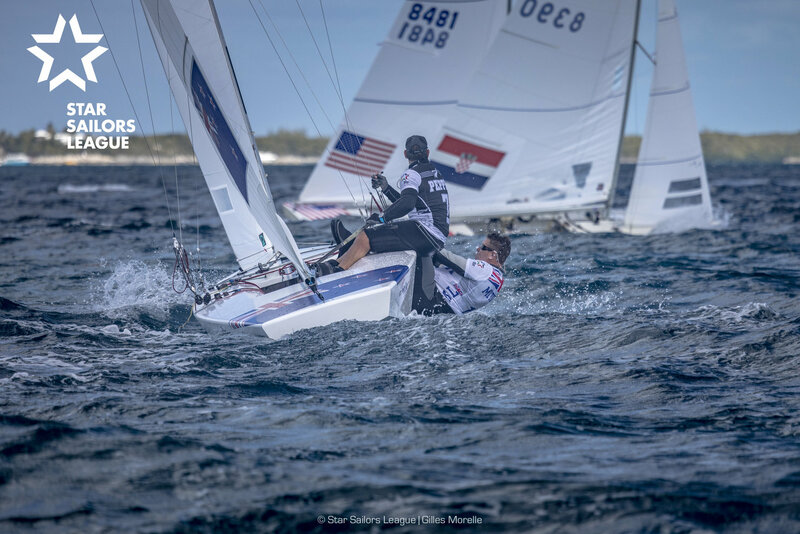 The four days featured a variety of conditions from 7 knots to 20 knots sunshine to rain squalls. 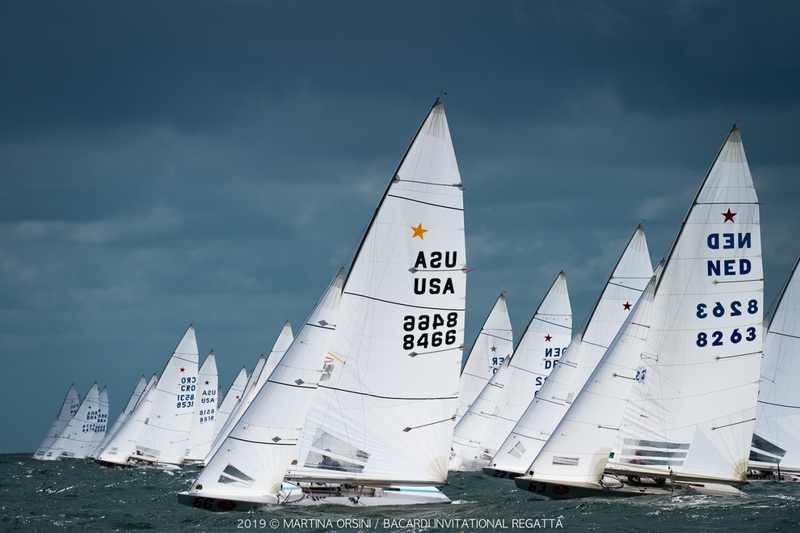 Through it all, the 42 teams had great competition on the water and camaraderie ashore. There were many contenders in each race with Tomas Hornos, Augie Diaz, Doug Smith, Jake Lilly, Jorgen Schonherr (DEN) Peter O”Leary (IRE), Ante Razmilovic ((GBR) Arthur Anosov, all leading or winning races. I also had the pleasure of having my son Danny with Roger Cheer out sailing with the fleet and learning a ton while having fun. Danny had just completed the first ever Star Junior World Championship at the beginning of the week. This is a great event that is brining youth into our class. At the top of the leaderboard for the Mid Winters, Eric Doyle with Payson Infelize, Lars Grael with Samuel Goncalves and myself with Magnus Liljedahl battled all week. 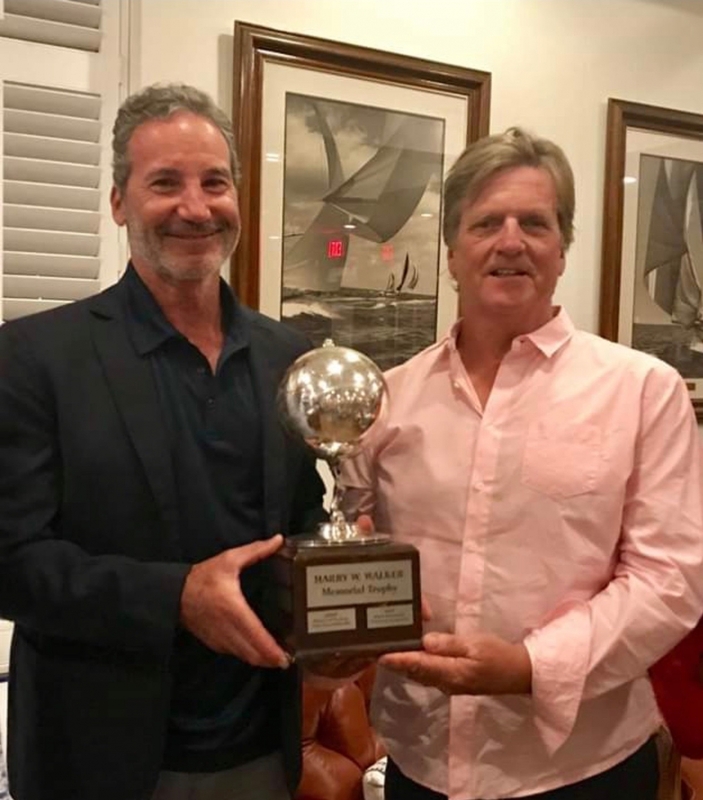 After 4 races for the Walker Cup, which were moderate wind races, Magnus and I won by just one point over the other two who were tied for second. 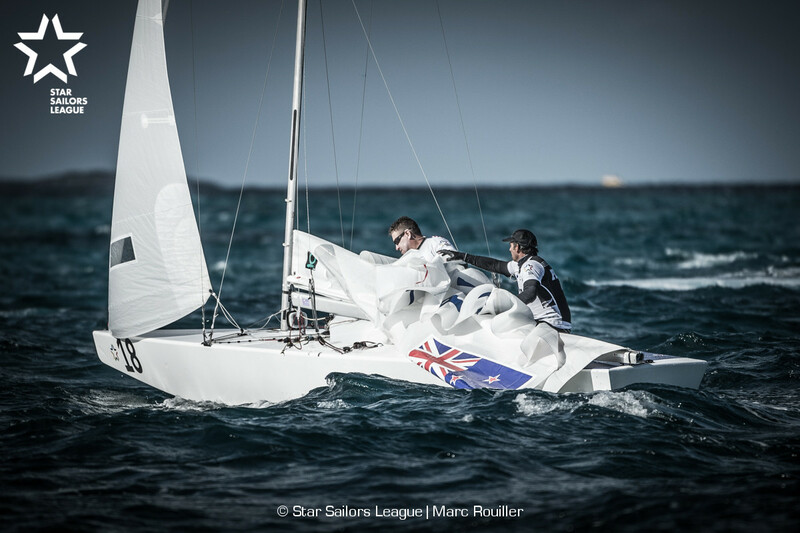 After two more windy days of sailing on the weekend, Magnus and I managed to win the entire event by just 0.4 of a point. Eric Doyle and Payson had out-sailed us through the 7th race and held a two point lead going into race 8. 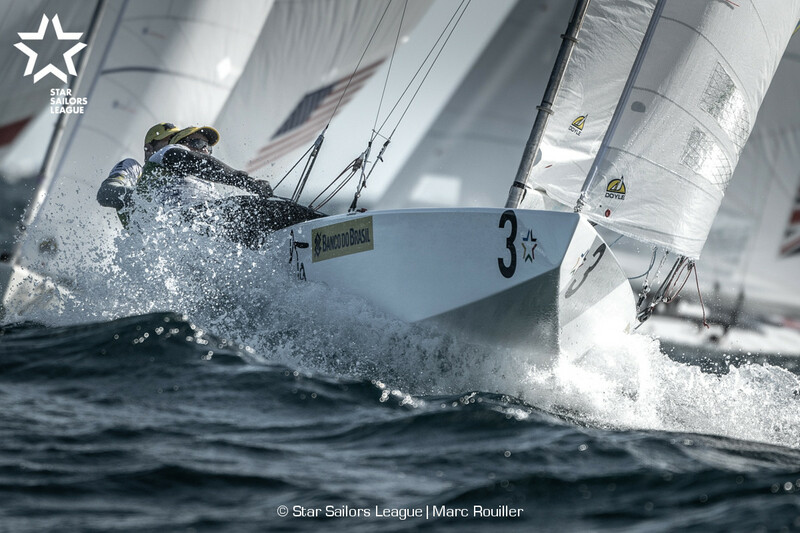 At the first mark of race 8, Mag and I were leading with Doyle Infelize in 4th. Down that first run, Doyle got in a collision with another, “give way”, boat. Both yachts broke their masts. Doyle requested and received redress. His redress was the average of his score in the first 7 races. Being that his first 7 races totaled 24 points, he received 3.4 as his score in race 8. Mag an I went on to win race 8 over the O’Leary brothers, who finished the regatta in 3rd. Magnus and I are very pleased with our performance last week and looking forward to the Baracrdi Cup in 3 weeks time. As a general note, I am posting less requesting through this channel and more on FaceBook and Instagram. You may want to follow me on those channels. 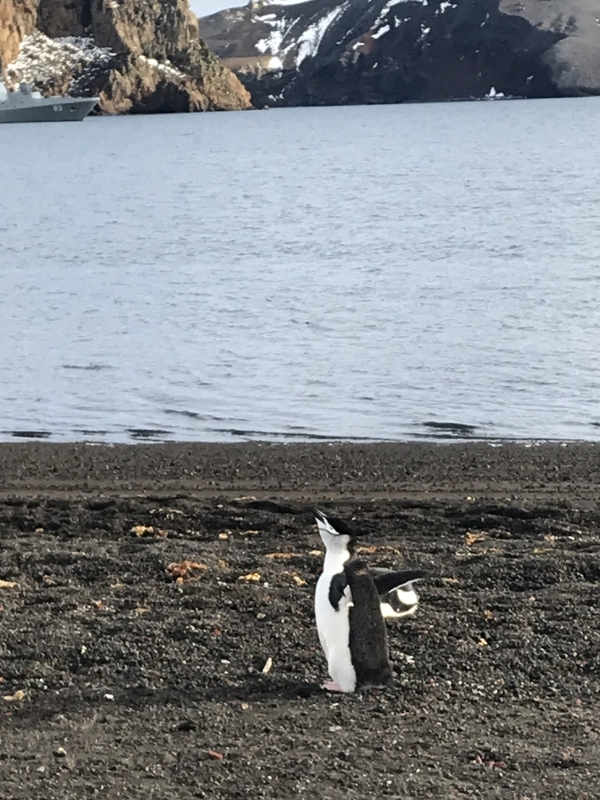 Our 15-day journey to Antarctica and Patagonia came to a close Monday morning as we departed Ushuaia, Argentina at 09:00. 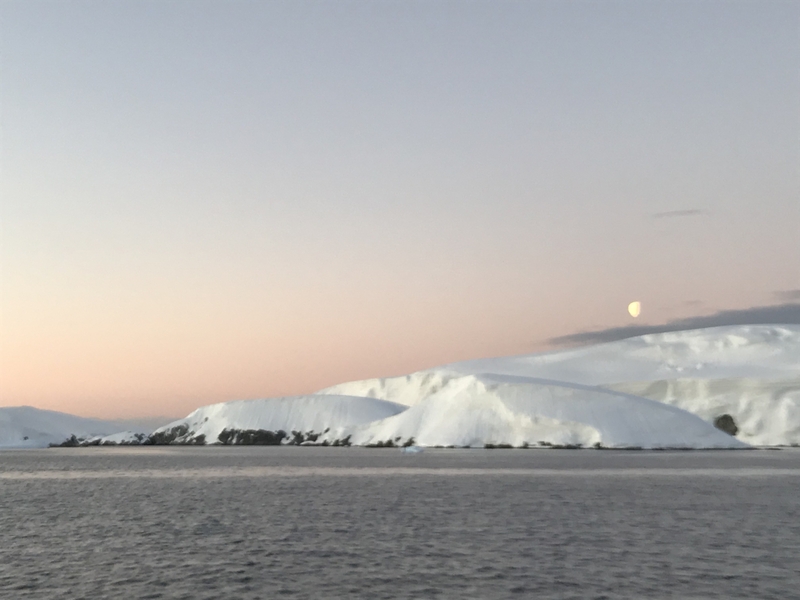 After our various Penguin, Whale and Iceberg experiences of 10 days ago, we set sail for the Antarctic Circle, 66 35 degrees South latitude. We crossed our “goal line” at approximately 18:00 on Sunday, January 20 and celebrated with some of Shackleton’s Whiskey and cigars, outside, on the upper deck of Rosehearty. From there we chartered our crossing of Drakes Passage. Captain David Hutchison and I monitored the weather forecasts for several days. The weather analysis was reminiscent of my Round the World Racing days. We found a good “window” and departed, weaving our way through the low-pressure systems on a 60-hour, 600 nautical mile passage. We had up to 48 knots of wind one night, fortunately, aft of the beam. So while we still pounded and rolled quite violently at times, I appreciated the comfort of being on a 180 foot, 500 ton, yacht compared to my previous experiences. 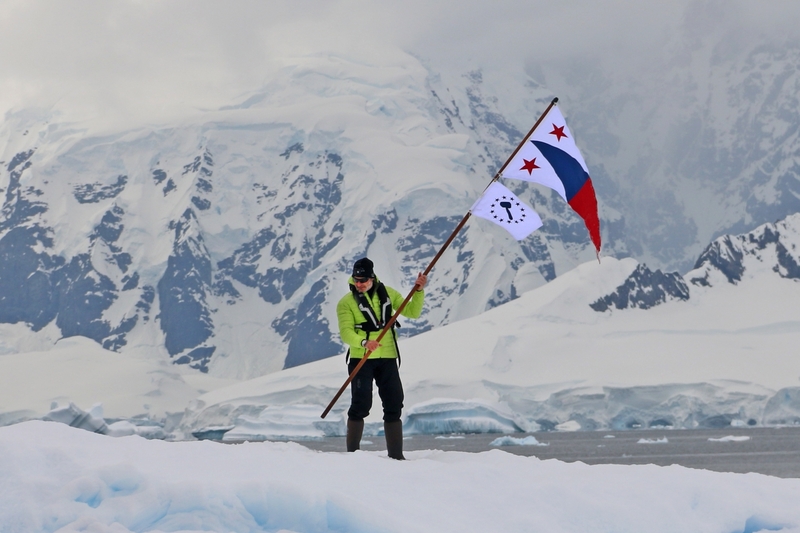 We made landfall at Cape Horn on Wednesday, January 23. For me this was a special visit. Having sailed past the Cape 3 times while racing, I was intrigued to go ashore. 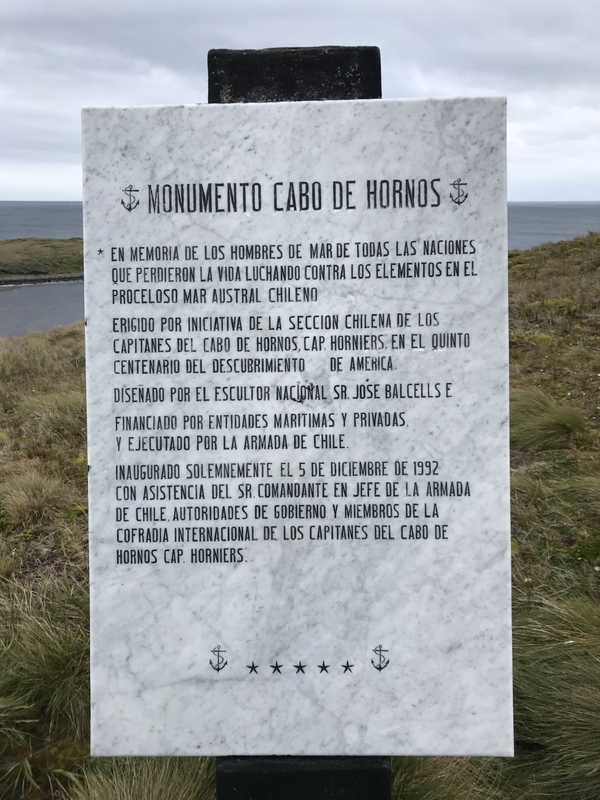 We visited the lighthouse and various monuments commemorating the sailors who sailed passed and those who perished at the Horn. From Cape Horn, we cleared customs in Chile in Puerto Williams and made our way up to Yendegaia Fjord. There we visited an abandoned cattle ranch and saw lots of flora and fauna on a 5-hour hike. After the hike a few of us tried our hand at fishing and come up with nothing. The crew put down crab pots and caught several which made for a tasty lunch the next day. In the morning, we were on the move again to Pia Fjord, first the western arm with its three glaciers and then up the eastern arm where we anchored and went ashore. Again, we hiked up into the nature and arrived at the base of a giant glacier. Naturally, the ice pieces that calve off the glacier float out into the fjord. When the tide goes out, a lot of the ice gets stranded on the beach and creates quite a strange dichotomy of “ice on the beach”. 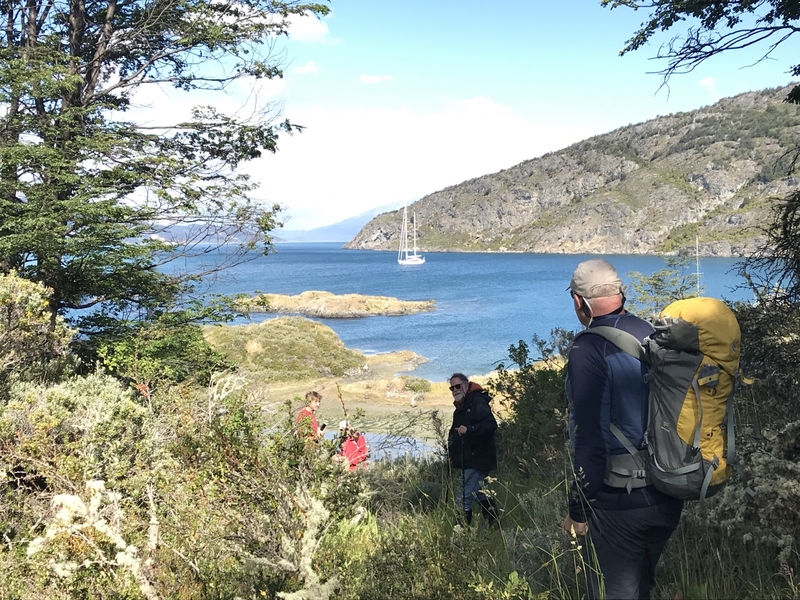 We then proceeded back to Puerto Williams to “check out” of Chile and then onto Ushuaia, Argentina, where we spent Sunday afternoon visiting the town. 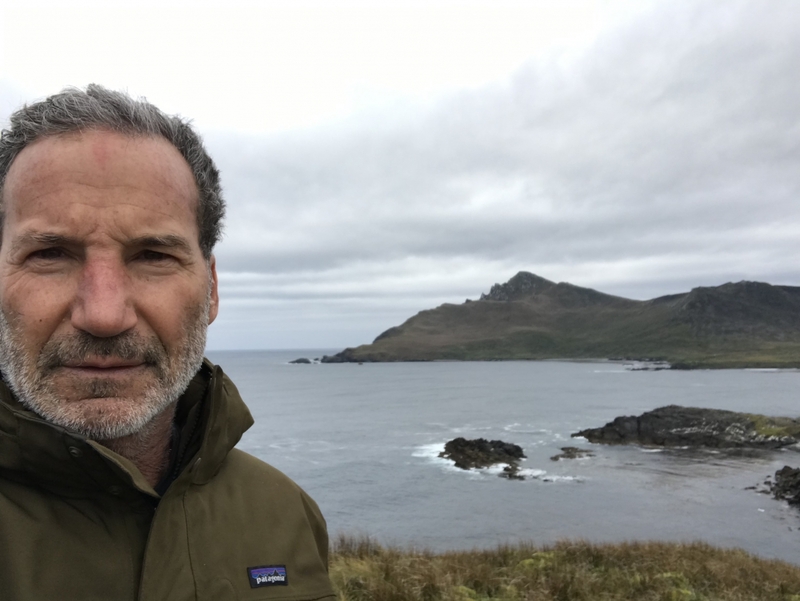 You could tell from the type of shops in the town, that the purpose of Ushuaia was to serve as a launch pad for various expeditions, both on land and by sea. Ushuaia, with a population of 80,000 now, is known as the southernmost town in the world. The 15 days we spent on Rosehearty, with her extremely professional and well-organized crew, was spectacular. The things we saw you can see in picture books. But experiencing first-hand, makes a world of difference! This was truly a trip of a lifetime and I thank my friend Joey Kaempfer for the fabulous opportunity! I am back in San Francisco this week to, among other things, attend to my responsibilities as Chairman of the Board at St. Francis Yacht Club. 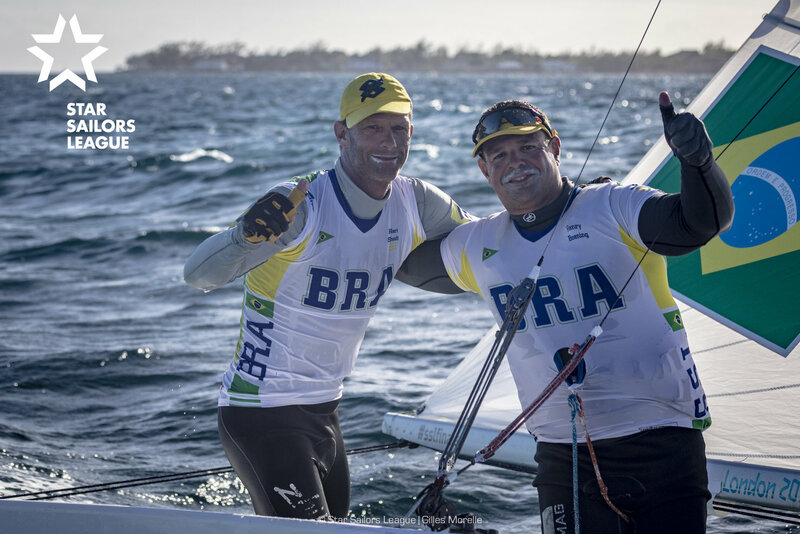 On Friday I will be heading out to Miami for the Star Masters this coming weekend where I will be sailing with my longtime friend, and Olympic Gold Medalist, Magnus Liljedhal. I am also very excited to get time with my son Danny who will also be in Miami training for the Star Junior World Championship which starts on February 4.